One usually overlooks the entrance-way or hallway when thinking about their interior designing. 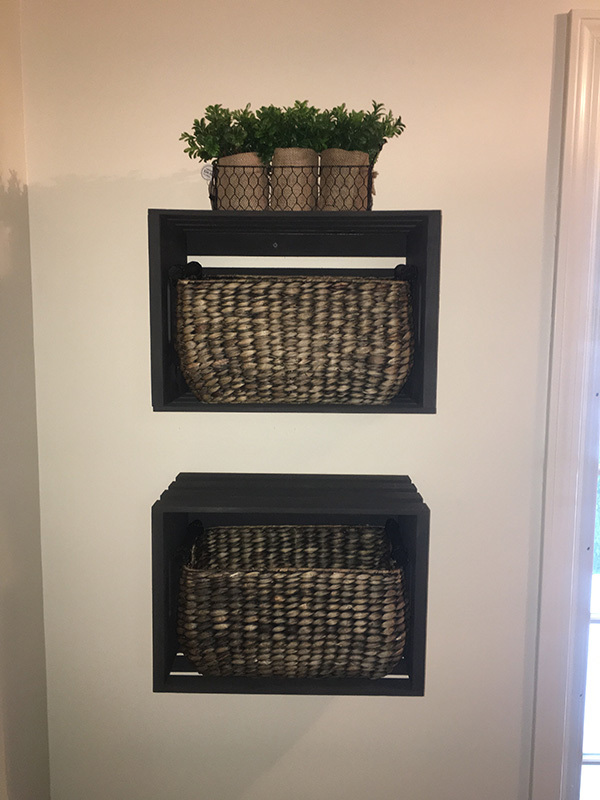 However, the entryway serves its purpose as a drop-off zone for all your family members and guests bags, muddy shoes, jackets, scarves; hats and gloves, etc. The mud and slush from the snow tend to trickle its way into the living areas staining carpets, and creating real eyesores for the rest of the home. It’s incredibly clear what a mudroom’s purpose is but looking for ways to decorate it isn’t so translucent. That is, until now. It’s time to transform that overlooked part of the house and give it a wow factor while being a highly functional room with some DIY ideas. Load up that room with storage options that will fit your lifestyle. After buying my first home this year, I didn’t have a mudroom planned for the first winter in the house and my entry way became a cesspool full of wet boots and melting snow. Thanks to a couple of crates, paint, etc. my house is going to be fully prepared for the next winter season. Don’t these look pretty nice? I thought so myself and I hope you can follow our tutorial thoroughly to create something like this yourself.. All details of where to purchase everything will be at the bottom of this page. Have a design tip, or question? 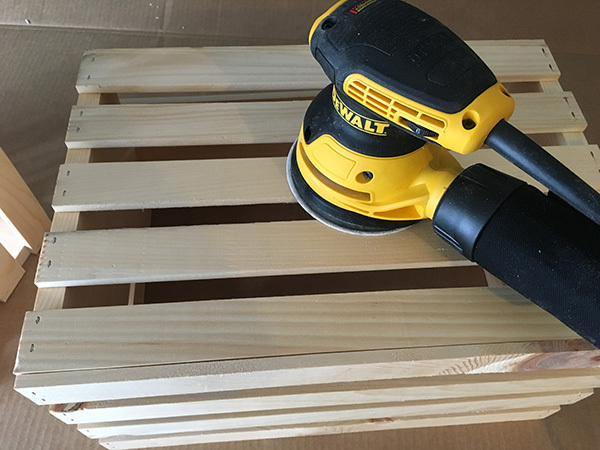 We used a Dewalt orbital sander to get all of the ruff cuts smooth and splinters. You don’t have to buy one of these, but they’re nice to have for any type of woodworking project. You can also just purchase 180 grit sandpaper and do it by hand. I ended up only using one can. However, I barely made it with one can. So depending on how many coats you want to use — buy two. 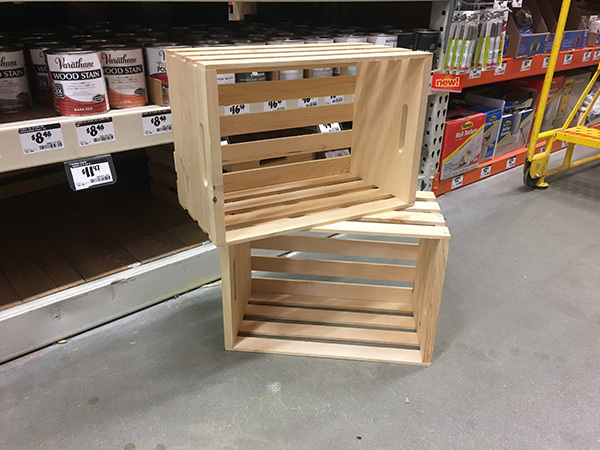 I used two coats of paint for each storage crate. 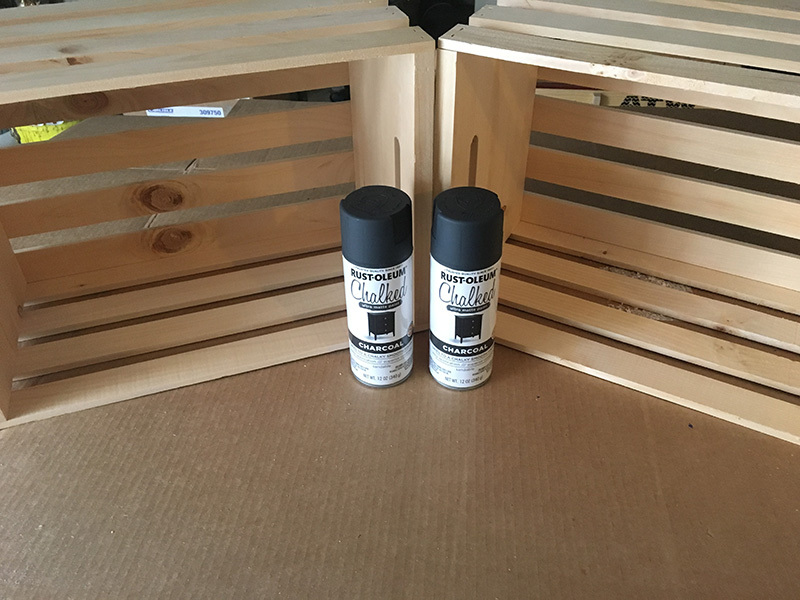 When I sprayed the paint, I kept a distance of 10′ inches away as best I can. This paint dries pretty quick – 15 mins. However, it’s kind of tacky to the touch, so wait at least 1-2hrs before you hang them on your wall. In order to hang your wall crates, it’s best to find the studs in your walls. To do this, simply look for indicators like: baseboard trim, electrical outlets and or switches. 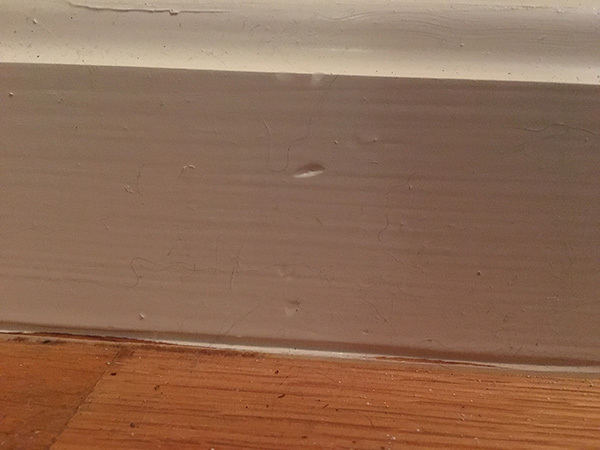 Since I didn’t have any wall outlets in the space I chose, I looked at the nailing pattern of my baseboard (See above picture).. 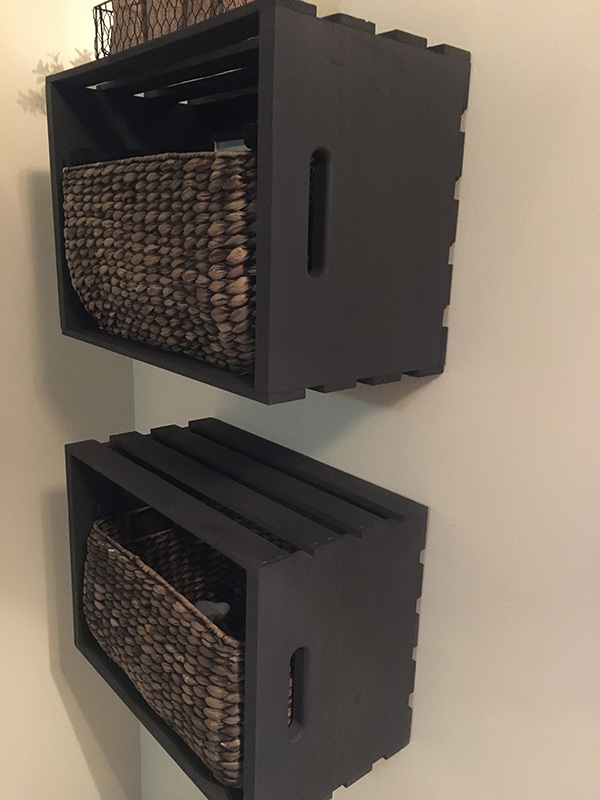 I grabbed my 20v cordless drill and hung these storage crates using 1″ 1/2 screws directly into the studs in the wall.